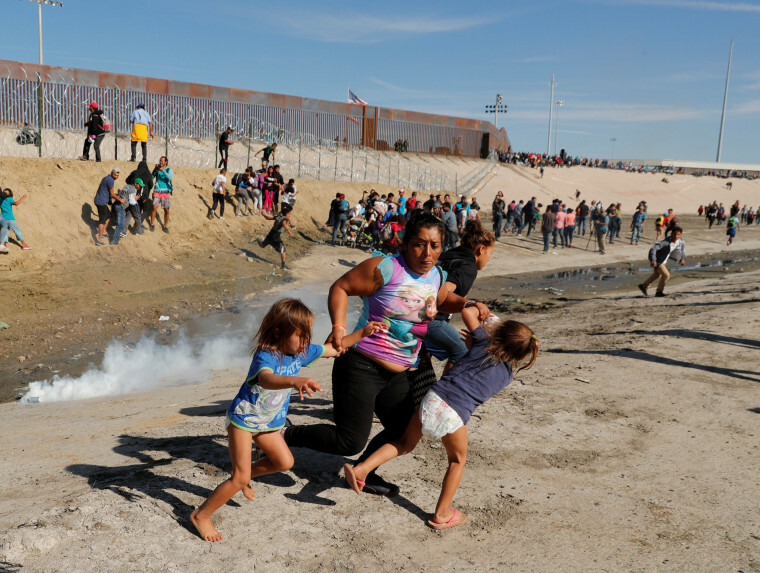 TIJUANA, Mexico — It’s the image from the unfolding crisis in Tijuana seen around the world: a migrant mom and her young children running away from a smoking tear gas canister with barbed wire and a forbidding metal wall in the background. Both children are clad only in T-shirts, and one appears to be wearing a pull-up diaper. One child is barefoot, another wears flip-flops. The woman clutching their arms and dragging them out of harm's way is wearing black leggings and a T-shirt emblazoned with the smiling cartoon faces of the Anna and Elsa from the Disney movie "Frozen." That jarring portrait was captured on camera Sunday by veteran Reuters photographer Kim Kyung-Hoon moments after a group of Central American migrants approached the border crossing into San Diego and were forced backwards by tear gas canisters hurled by U.S. border agents. "When the tear gas started, some people were screaming and everybody started running away,” Kim told NBC News on Monday. "I saw the woman and two children running away. One girl was barefoot from the beginning. The other was wearing beach sandals and lost them in the chaos." NBC News also tracked down the woman, Maria Mesa, a 39-year-old mother of five from Honduras, inside a tent at the Benito Juarez Shelter in Tijuana. "I grabbed my children and ran," Mesa said of her 5-year-old twin daughters Saira and Sheilly. "Their father lives in Louisiana and they are trying to reach him," he said. Kim's photograph, which appeared on the NBC News website and on the front pages of numerous newspapers, provoked worldwide outrage and appeared to make a lie of President Donald Trump’s claim that the caravans were an invading force of "criminals" and "gang members." But Trump defended tear-gassing the migrants, calling them "some very tough people." Kim, who is a 44-year-old South Korean based in Tokyo, is no stranger to tragedy. 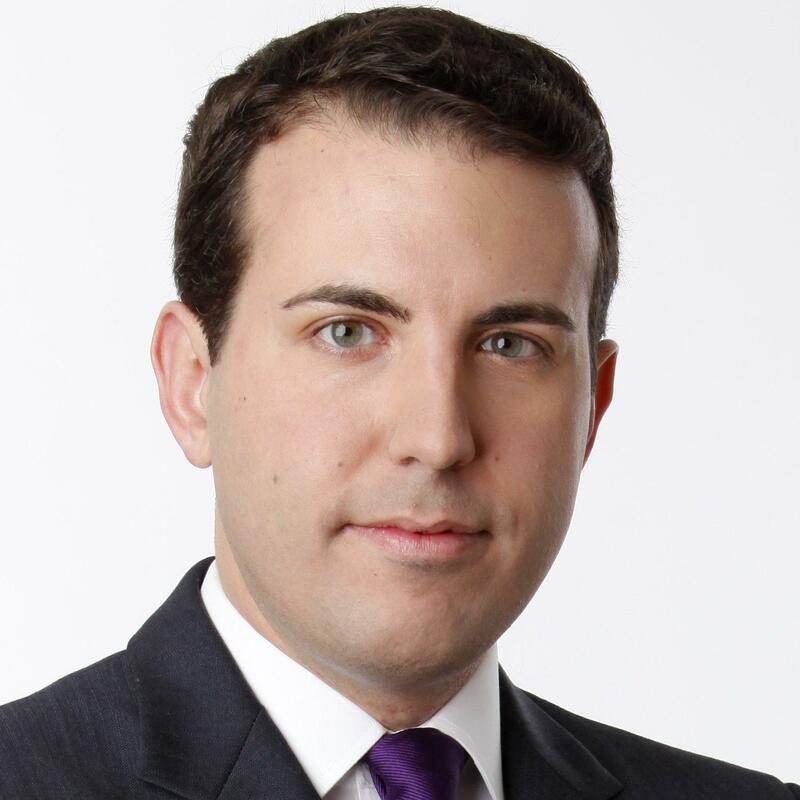 In the 16 years he’s worked for Reuters, he has covered everything from plane crashes to the 2011 earthquake and tsunami that devastated Japan. The latest assignment began for Kim on Nov. 14 when he arrived in Mexico City and began following the migrant caravans escaping the terror in the home countries and heading north for the American border. On Sunday, the group Kim had been shadowing was at the El Chaparral border crossing and the U.S. was in sight. "They were stopped at one spot by the Mexican police," the photographer said. "Then they climbed down the river bank. The wire fence was on the other side of the river about 20 meters away." Kim said he watched as the mother and the twins started fording the shallow river at the border. Asked if that was why the girls were wearing next to nothing, the photographer said he believes that was all the clothing they had. For a few seconds, Kim said, he was distracted by two men who had already made it across and were using their bare hands and a bucket to dig a hole under a fence so they could crawl under. Then, suddenly, the air was filled with choking smoke. "One canister fell by the family and they started running away," he said, referring to the mother and twins. Kim said he could hear the little girls coughing and crying and he immediately aimed his camera in their direction and starting shooting the unfolding chaos. He said he stayed with them as they fled back to the migrant encampment. Asked if he was rattled by what he witnessed and the heartbreaking sounds of children crying, Kim said "my job is to document what is happening." "I try not to let my emotions get involved in my work," he said. CORRECTION (Nov. 27, 2018, 7:50 a.m.): An earlier version of this article incorrectly described the children in the photograph. One child was wearing sandals; they were not both barefoot. Gabe Gutierrez reported from Tijuana, and Corky Siemaszko from New York City.